The Austrian Jewish Museum worked presently (start of the project: April 28, 2010) (Update 21. 12. 2014): "Lost" of 28. April 2010 to 21. 12. 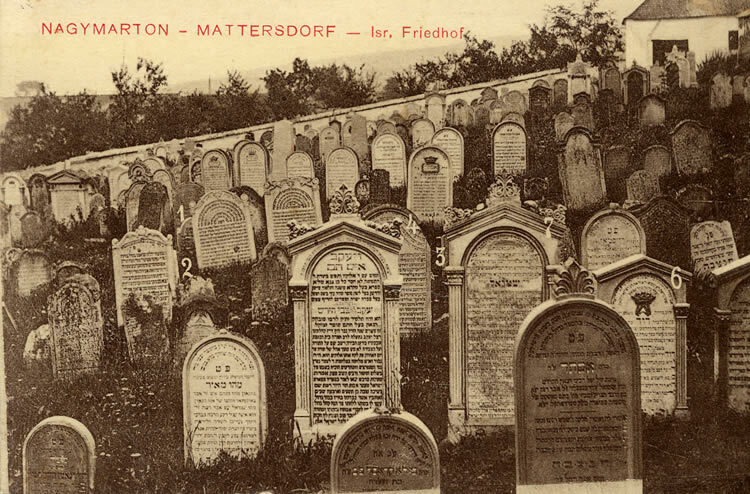 2014 the online publication of the Jewish cemetery of Mattersburg. The project aims to make the historic photos and copies of the grave stones of a broad public and work up a white spot in the history of the Jews of Burgenland in general and the Jews Matter Petersburg in particular. The project is not just for a few surviving relatives of the dead and for many descendants of Mattersburg Jews of highest interest and utmost importance, but the dead of this world-famous cemetery get to finally name and in a way, a "face".